Carpet and room deodorizer contains a formula that first eliminates deep-down odors like those caused by smoke, dampness and mildew. 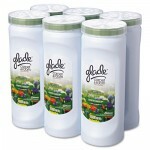 It then freshens your home with a pleasant fragrance. To maintain the freshness, use deodorizer every time you vacuum. 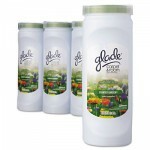 Includes six shaker cans of powdered fabric/carpet deodorizer.